I really have an appreciation for Jewish people. I'll never understand what they've been through, or the discrimination they've faced or face today. 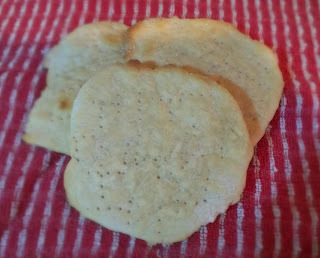 However, I have a deep respect for their traditions, therefore the following recipe, an adaptation from recipe Matzah. 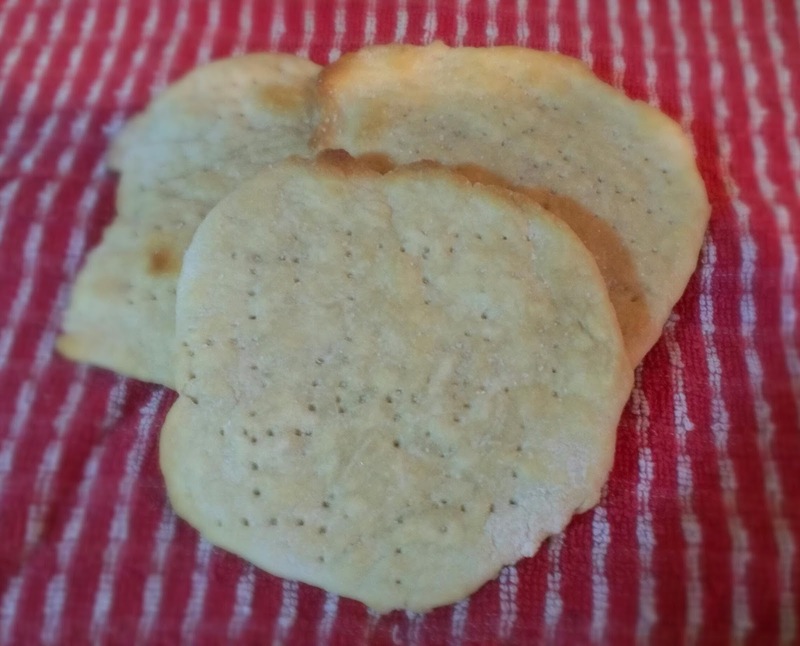 Move an oven rack near the top of oven and preheat oven to 475 degrees F.
Yields: about 4 – 5 inch diameter pieces of unleavened bread. In a religious ceremony, this amount would serve approximately 100 people. Add in all ingredients to mixer bowl. Preheat a heavy baking sheet or baking stone in the oven. Dust a clean work surface and a rolling pin with 1 teaspoon flour, or as needed. Place 1 cup of flour into a mixing bowl; set a timer for about 16 minutes (18 minutes maximum). Start the timer; pour the water, about 1 tablespoon at a time, into the flour. Stir the water and flour together with a fork until the dough forms a rough ball, remove the dough to the prepared work surface, knead rapidly and firmly until smooth, about 30 seconds to 1 minute. Divide the dough into four equal pieces. Swiftly roll each piece into a ball. Roll each piece of dough out into a 5-inch pancake and it will be about ¼ inch thick, dusting the top and rolling pin with flour as needed. Gradually roll the pancakes out to a size of about 5 inches Roll from the center out. The bread rounds should be thin about 1/4 inch thick. Using a fork, quickly pierce each bread about 20 times, all over, to prevent rising. The holes should go completely through the bread. Flip the bread over, and pierce each piece another 20 times or so. Place the rounds onto the baking sheet. Place the baking sheet onto the rack near the top of the oven, and bake for 5 minutes; turn the breads over and bake an additional 4 minutes, until the Matzah are lightly browned and crisp. Recipe Modification! - April 2, 2016 - Today I didn't want to mess with a rolling pin and flouring the cabinet today so I mixed it in a bowl and made it flat like a thick tortilla, then popped it in the oven. Bake @ 475 for 8 minutes, flip then 8 more minutes. A longer baking time. Making Matzah breads kosher for Passover requires using special Kosher flour that has been guarded from contact with liquids. I used Gold Medal, Kosher, unbleached all-purpose flour. The cook is allowed no longer than 18 minutes from the point they combine the flour and water to when they remove the Matzah from the oven in order for it to be considered fit for Passover.